This morning I woke up to the sound and smell of rain! I love this time of year. The weather, the decorations, the time spent with family, the smell of cinnamon, holiday shopping, menu planning, etc. Today, I thought I would share a little fall inspiration to help us all to get in the mood! 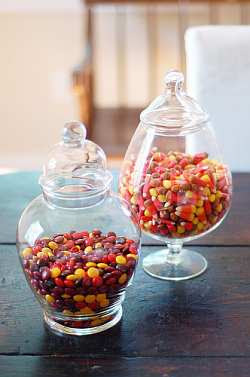 Isn't it funny how fall is sometimes synonymous with pumpkins?! 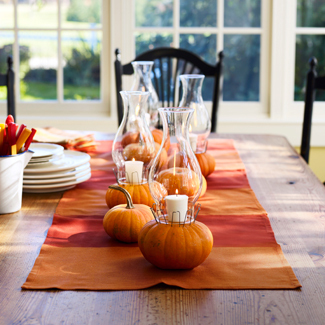 I love the use of pumpkins in this dining room. It really gives it a nice fall feel! Again, pumpkins. This time they have been painted and gold leafed! So beautiful! What a great use of small picture frames. 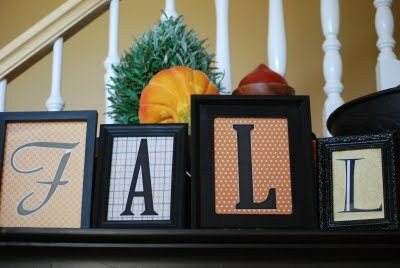 Find some mismatched frames, use a Silhouette or your computer to create letter signs for each frame! 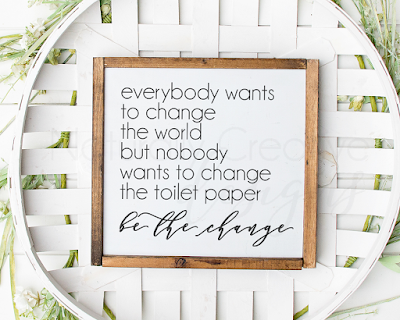 You could do this year round and just change out the papers! WOW! More pumpkins. This table runner would look great for an elegant Halloween party, or for your Thanksgiving dinner! So simple. So elegant. 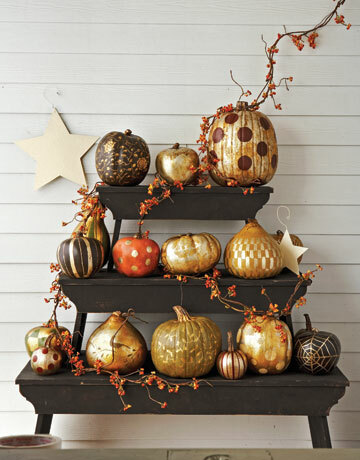 Have you started your fall decorating yet! ?